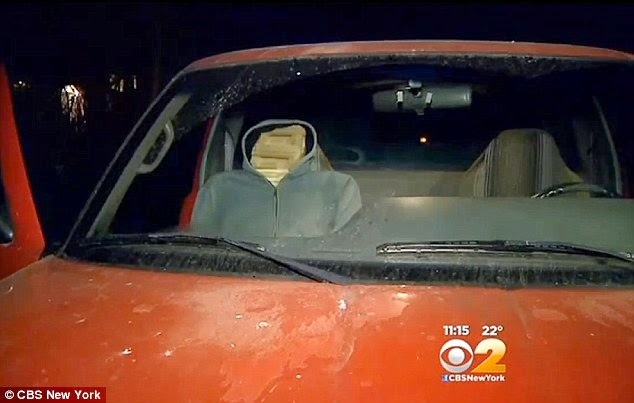 James was caught driving at 6:30 am in a carpool lane on the Long Island Expressway at Dix Hills, alone, but with a fake passenger who / which was / had been constructed of wood. James told police that he has been using dummy for at least a month so he could get to his new job on time. James further defiantly told the officer that he intended to use the wooden creation again, and in fact he did so on his way home later that same day. 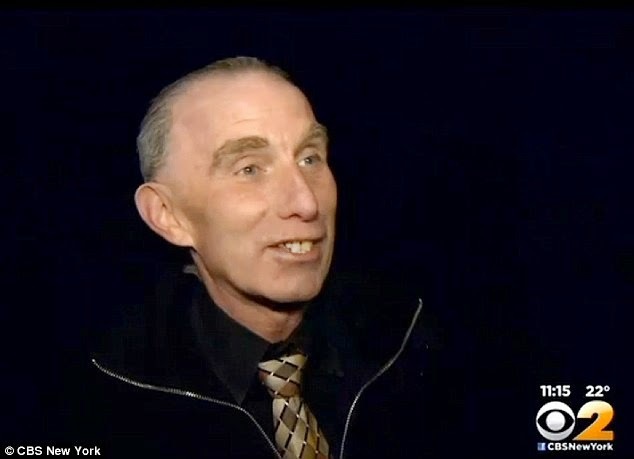 Suffolk County Highway Patrol officer Jonathan Abrams noticed the fake passenger and when he approached Campbell's car he said that he needed to see the passenger's identification. 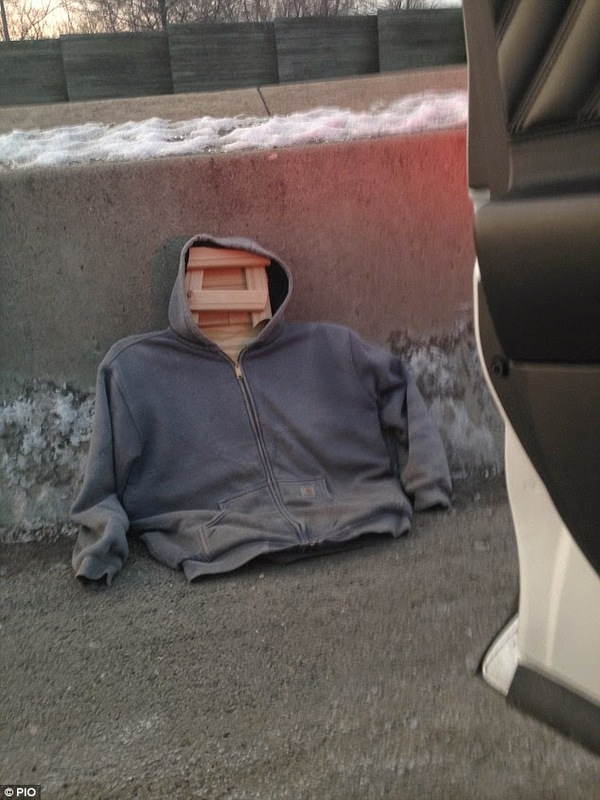 Officer Abrams said that James told him that "He didn’t want to be late to work, so he had assembled this thing and kept it in his car so he could use the HOV lane to get to work faster." Officer Abrams gave James citations for speeding and for the HOV violation, but he did not confiscate the dummy. 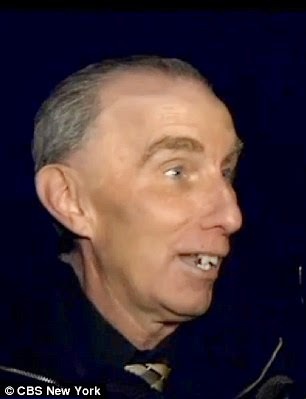 Officer Abrams later told CBS News that "I saved my chuckling for after I walked away from their car, and they’re not going to believe this one back at the office". 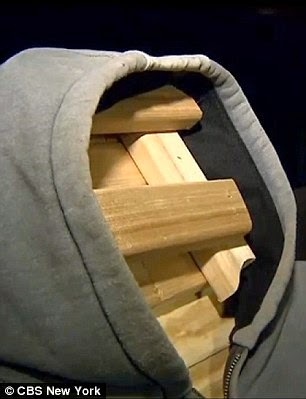 In the interim James told CBS News that he has not been deterred from using the wooden dummy. "I used it on the way home" he laughed to CBS. "I’ve been using it for months. I think it's fun. I'll change the outfits (for next time)". Since 1991 Michael A. Haber, P.A. has an unblemished record of providing boutique criminal defense litigation services to many folks who have been accused of criminality. 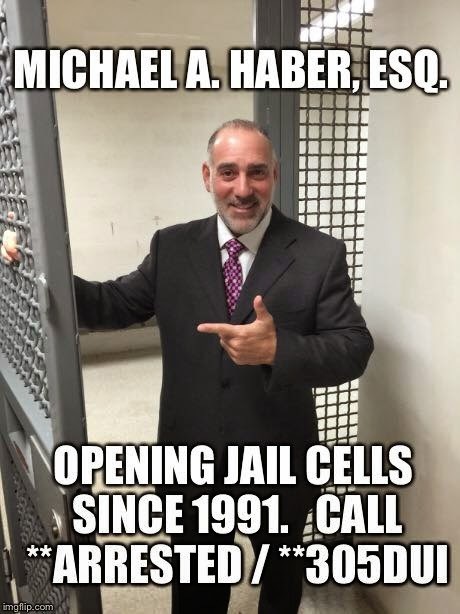 Michael A. Haber, Esq. has creatively, effectively and zealously represented clients on a wide variety of criminal matters ranging from DUI to drug trafficking and from misdemeanors to first degree murder. 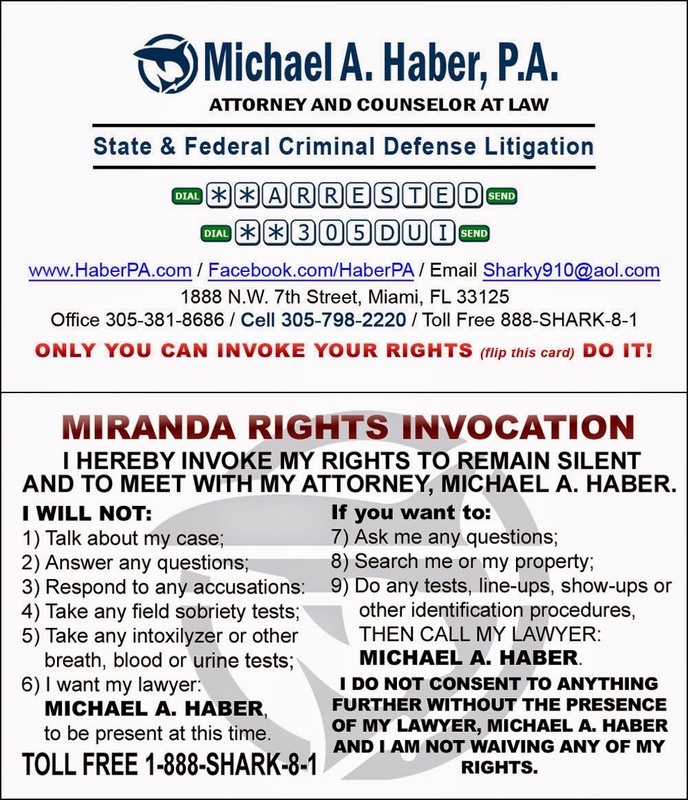 Michael A. Haber, Esq. 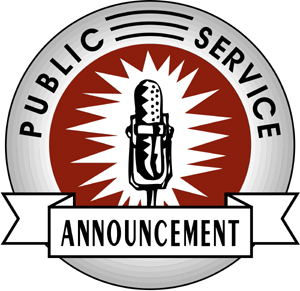 is prepared to speak with you about your case! At Michael A. Haber, P.A. "its all about reasonable doubt"!